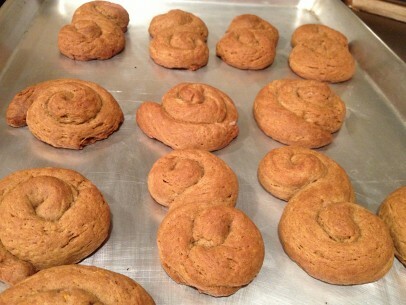 Koulourakia are simple and quick to bake up and so much fun to make! The dough rolls out easily into a variety of shapes and it’s a job even little hands can do well. Cardamom, cinnamon and orange zest make these cookies so aromatic and full of flavor, they’ll become your favorites in no time! Mix up a big batch and refrigerate leftover dough for up to two weeks. In addition to cinnamon and cardamom, the ingredients that make these cookies the delicious superstars they are – sweet red wine and orange zest. Really, sweet red wine is the game changer so don’t be tempted to leave it out! Traditionally, the sweet red wine used in this recipe is Greek Mavrodaphne (Μαυροδάφνη). 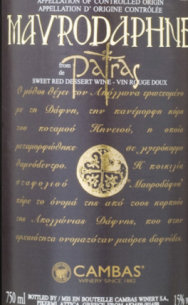 It’s a delicious fortified desert wine grown on the mainland of Southern Greece and worth looking for at the liquor store. If you can’t find Mavrodaphne, a good substitute and one I’ve used in a pinch with fine results is Barefoot Wine’s Delicious Red or Sweet Red. This recipe calls for about 1/3 cup of sweet red wine so you’ll end up with leftover in the bottle to enjoy on its own. My same Yiayia would warm a teacup of Mavrodaphne at night before bed and it’s something my family members still enjoy today. I’d chill the Barefoot Sweet Red before drinking. It’s not a super fancy vintage but it is nice on a hot summer evening and perfect for sangria. The wine mixed with the orange juice and orange zest adds so much flavor and helps to lighten an otherwise heavy batter. The cinnamon will color your dough a dark brown, scent your hands as you roll the cookies and fill the kitchen with its aroma as you bake. Authentic koulourakia are rolled in three traditional ways: s-shapes, rounds and braids. Pinch off golf ball sized pieces of dough, roll them into snakes and shape as you like. I usually make a few of each style but truth be told, s-shaped are my favorite! Bake cookies on a large baking sheet for 20 minutes at 350 degrees. Transfer cookies to a cooling rack or plate once you’ve removed them from the oven. 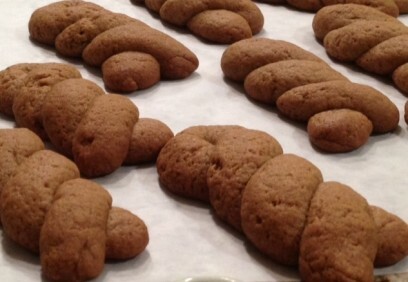 The cookies will be a dark brown color almost like a molasses cookie. They’re not burned though and should be crunchy outside and soft inside. It’s tricky to tell if the bottoms have browned because, well, they’re very brown all over so be sure to stick to the 20 minutes and you should be good. And you might think baking with olive oil instead of vegetable oil would produce a heavy, dense cookie but these cookies are surprisingly light and almost cake-like inside. Perfect for dipping! 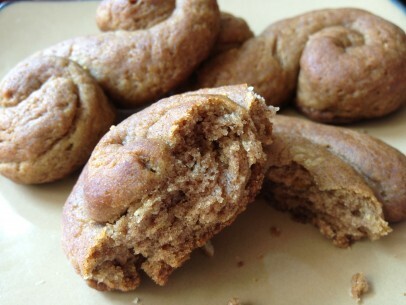 Combine flour, baking soda, cardamom and cinnamon well and set aside. In large bowl, dissolve sugar in orange juice. Once sugar is completely dissolved, slowly whisk in olive oil. 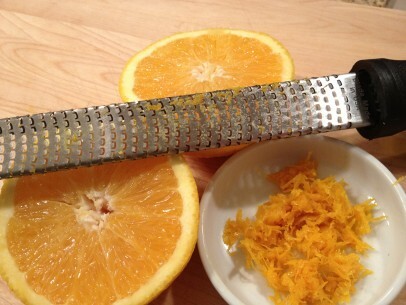 Add sweet red wine and orange zest. Whisk well to combine completely. Add dry ingredients a cup at a time until ball of dough forms, comes away from the sides of the bowl and no longer sticks to your hands. 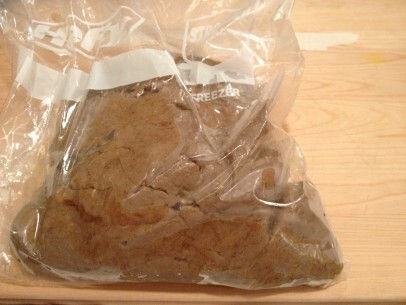 Allow dough to rest, covered with plastic wrap or a dish towel and refrigerated, for at least 30 minutes. 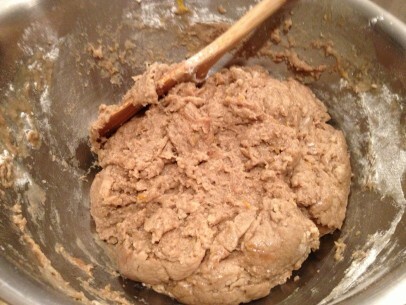 Pinch off pieces of dough the size of a golf ball. 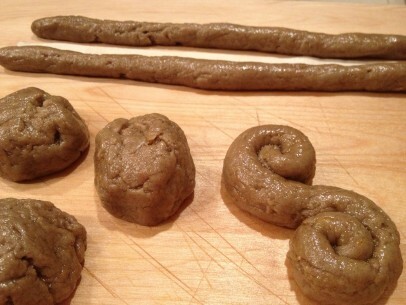 Roll dough into long snakes and twist dough into desired shapes. Bake on cookie sheet for 20 minutes in 350 degree oven. This recipe is easily scalable and I’ve doubled and triple it with good results. Refrigerate any leftover dough, covered, for up to two weeks. These look amazing! Do you know if they would freeze well? I bake for all my family for Christmas gifts, and need a bit of a head start sometimes. They seem like a cookie that would fit right in for the holidays! How much does this recipe yield, so I can determine how much to increase it for a large crowd? I usually get about 18 or so S shaped cookies and about 2 doz swirls! Okay… I just have to share that when my pethera calls family in Greece, she tells them about these koulourakia and how delicious they are! thanks for another great recipie! Love love this story <3 ! sadly, i can't think of a way to eliminate the sugar here..... they're not overly sweet to begin with so cutting down the amount wouldn't work very well and to substitute with honey or a traditional grape-must sweetener, you'd have to rework the liquid portion entirely. they're a favorite of mine too so I totally understand your dilemma! Thankyou for this mouth watering recipe that also happens to be my all-time favourite Greek tasting biscuit. I look forward to introducing them to my very young grandchildren who love baking with me – and enjoying the fruits of their labour. In particular sharing with my elderly mum who only last week was reminiscing how much she enjoyed them and misses them- how fortuitous!